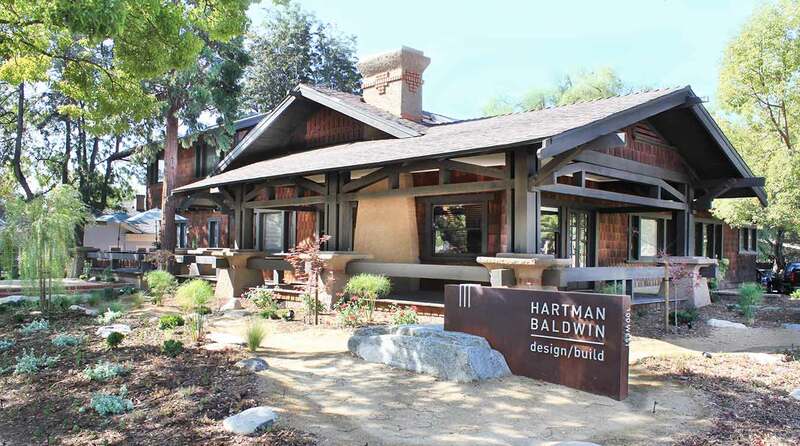 HartmanBaldwin is proud to be recognized by the Claremont Architectural Commission in the following categories for Excellence in Design. Our thanks to our clients, partners and other contributors on another rewarding year of outstanding architecture and construction. 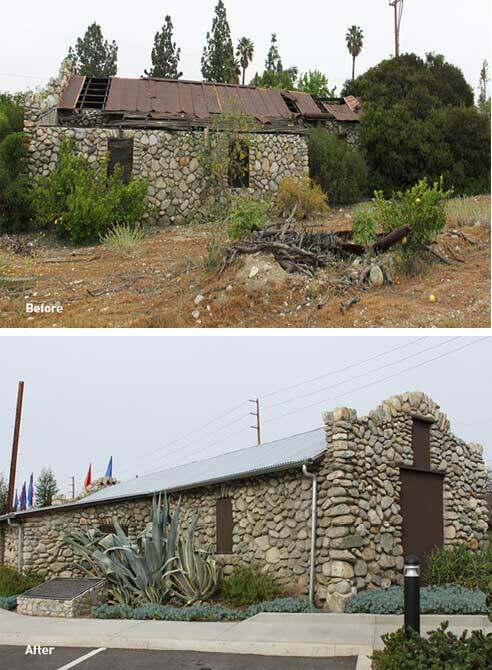 As part of the restoration of Historic Barn and Pump House, HartmanBaldwin was to restore, seismically stabilize and re-purpose the existing Ranch Barn and Pump House buildings in the context of the new Citrus Glen at Pitzer Ranch housing community. The pump house has now been re-purposed as additional storage for the community residents. The barn on the most southern part of the property has now been re-purposed as a recreation area for its residents. The new sign project was in conjunction with a landscape redesign. 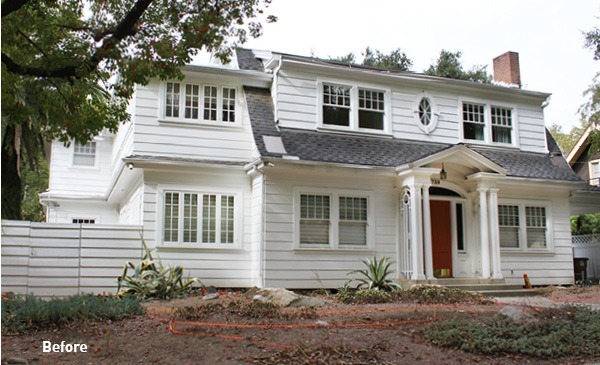 The sign sets against an Arts & Crafts home that was converted to office space in the 1980’s. Sleek and rectangular with organic rustic tones, the sign is made of Corten steel with raw unfinished aluminum lettering. Part of the sign is constructed to look as if it is coming out of a half-ton boulder that was handpicked to complement the tones of the sign, building and proposed landscape redesign. About 2/3 of the boulder is buried, with only the top most flat part of it showing. The stone was then cut to slide the sign into the boulder. The boulder acts as an anchor and connective visual point to the stone details through out the building. 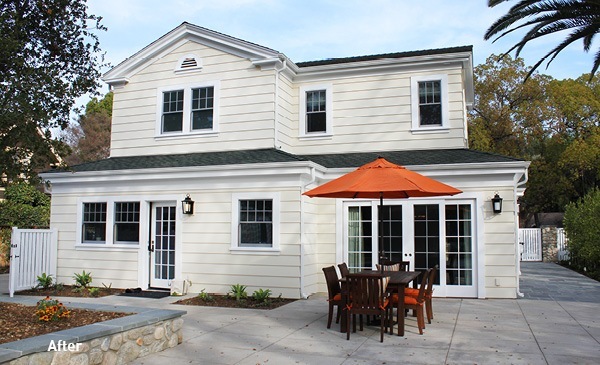 HartmanBaldwin Design/Build is known for award winning designs that respect the architectural integrity of properties, regardless of the vintage or style. The sign project had to represent both the high-end, minimalist approach of smart design and also complement the traditional arts and crafts style of the building. 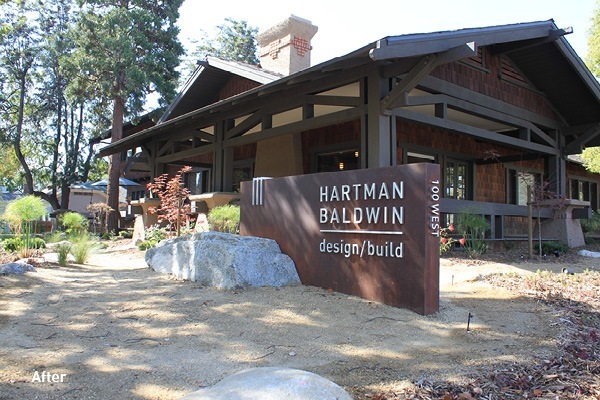 The juxtaposition of the sign and the building are a symbol of what makes HartmanBaldwin and its designs so unique. 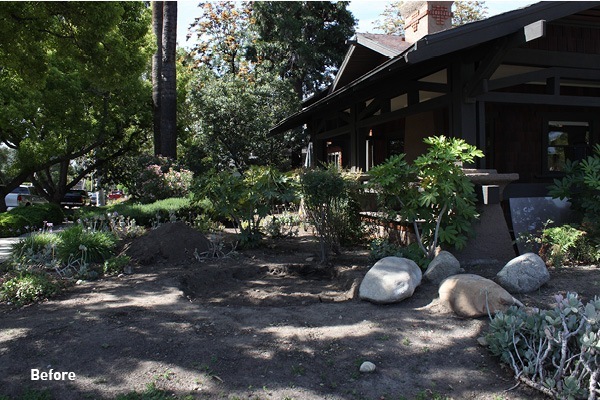 Connecting the two elements was a natural landscape design. 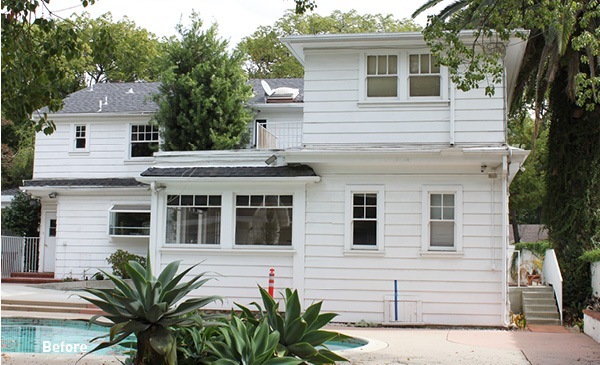 Pitzer partnered with historic preservation architecture firm Kelly Sutherlin McLeod Architecture, Inc. and HartmanBaldwin, Inc. to rehabilitate the house before the end of the College’s 50th anniversary year. 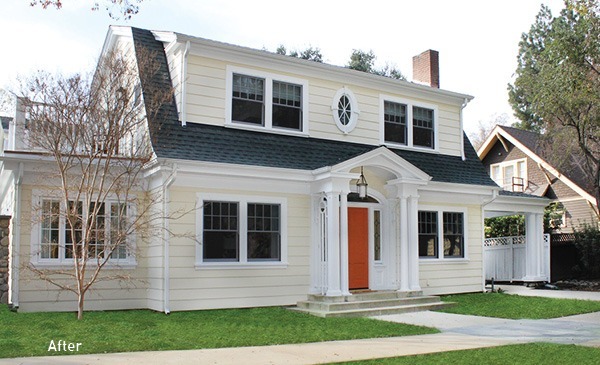 The project team preserved the home’s historic integrity and remedied structural problems while increasing its accessibility and improving its sustainability. We are honored to be recognized by the City of Claremont and for being a part of an award-winning team.